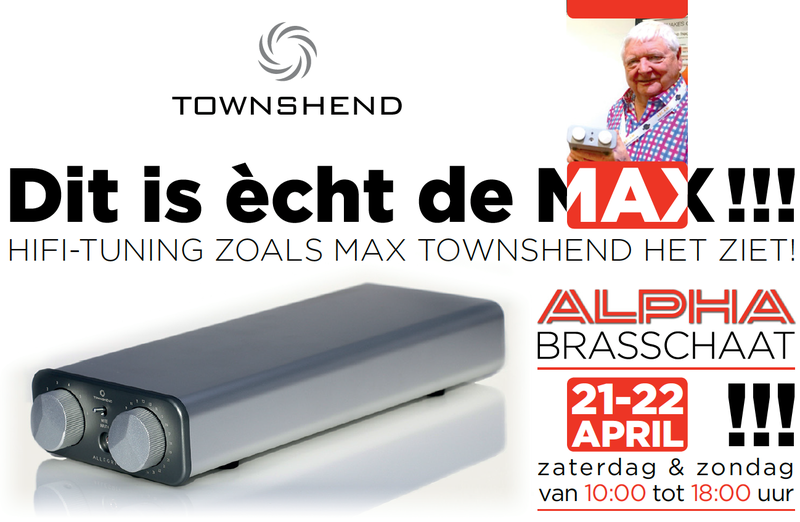 Townshend Audio will be giving talks during the weekend to introduce a number of award-winning components and techniques that are indispensable to enhance the reproduction quality of any high-end system. Introduced in 1999 the Townshend Supertweeters are Townshend long-term best selling product. Max will describe the importance of incorporating supertweeters with most loud-speakers. Crucial for high fidelity sound, they give an accurate reproduction of very fast transients, life-like harmonics structure and precise timing. Adding Supertweeters to the speakers takes the listening experience to new dimensions. Applying these theories to cables will give a breakthrough performance. Now available in its latest incarnation, the Allegri+ reveals even more. Townshend will explain their implementation to achieve, what many critics describe as the most transparent control unit available. The combination of passive design, Fractal wired autotransformers and constrained layer mass damping, gives The Allegri+ exquisitely detailed sound, over an inky-black background. The WHY and the HOW of isolating individual hi-fi components (e.g. turntables, disk players, streamers, computers, DACs and amplifiers, etc.) and all speakers, to improve and optimise their performance. The Townshend method of isolation, which extends down to 3Hz, is unique in the audio industry. By achieving stunning levels of isolation in all three planes, they far surpasses that of all competitive systems. Max Townshend will explain how Seismic Isolation works, using visual and physical experiments. There will also be a chance to hear an A-B listening test with and without Townshend Isolation.